Colliers International selected BTE as their leading provider for continuous mechanical and facilities services on its MIT portfolio consisting of 50 property locations located throughout Cambridge and Boston Massachusetts. BTE's expert project management and property transitions have far surpassed the client’s expectations. Expanding EMCOR's presence, a local EMCOR company was awarded a plumbing separation project at an additional location outside the contracted portfolio. It is a top priority to Colliers that their Massachusetts Institute of Technology (MIT) portfolio have proper oversight and project management of capital projects provided by BTE's team of account executives. In addition, it was essential that thorough facility inspections are administered to assure all mechanical equipment and facilities maintenance procedures are operating at peak performance. To meet Colliers’ requests, property inspection tours, off sight project and subcontractor management, and mechanical and facilities maintenance procedures were performed on MIT’s buildings totaling 2.4 million square feet with an additional 400,000 square feet of mission critical space. BTE orchestrated the general maintenance of the electrical and mechanical systems while administering minor repairs, plumbing, and refurbishing existing light fixtures. Account managers conserved Colliers additional costs by utilizing the existing Computerized Maintenance Management System. They executed budgeting recommendations, material purchasing, and tenant service work order assistance while providing emergency on-call response. Transitional services between construction and property management of 5 buildings in the portfolio were performed. BTE oversaw and managed boiler installations, plumbing separation, rooftop installations, and coil installations. BTE’s proficiency and communication with Colliers resulted in seamless project completions and precise reports from facility inspections, contributing to reduced operating costs for the client’s MIT portfolio. Colliers International is a leader in global real estate offering comprehensive services to investors, property owners, tenants, and developers around the world. A subsidiary of First Service Corporation, Colliers professionals reside in 522 offices worldwide. 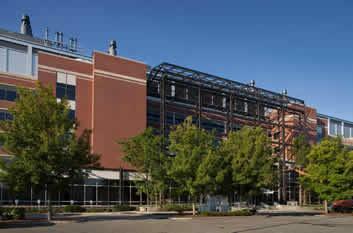 The Massachusetts Institute of Technology (MIT) is a private research university located in Cambridge, MA. MIT is comprised of five schools and one college, housing 32 academic departments with a strong emphasis on scientific, engineering, and technological education and research.